Helen Sung, pianist, composer and educator, has been selected as the Zuckerman Institute's first jazz artist-in-residence. Columbia’s Zuckerman Institute is committed to creating a dynamic and exciting environment for the exploration of the mind and brain. Advances in a field as wide as brain science necessitate an approach that transcends disciplines and boundaries. To foster a connection between music and sciences, Columbia's Zuckerman Institute has established the Jazz Artist-in-Residence program. This program sponsors musical artists for a period of engagement, inspiration and discovery at the Institute. The inaugural Jazz Artist-in-Residence at Columbia's Zuckerman Institute is pianist and composer Helen Sung. Helen Sung hails from Houston, TX, where she attended its renowned High School for the Performing & Visual Arts (HSPVA) as a classical pianist and violinist. 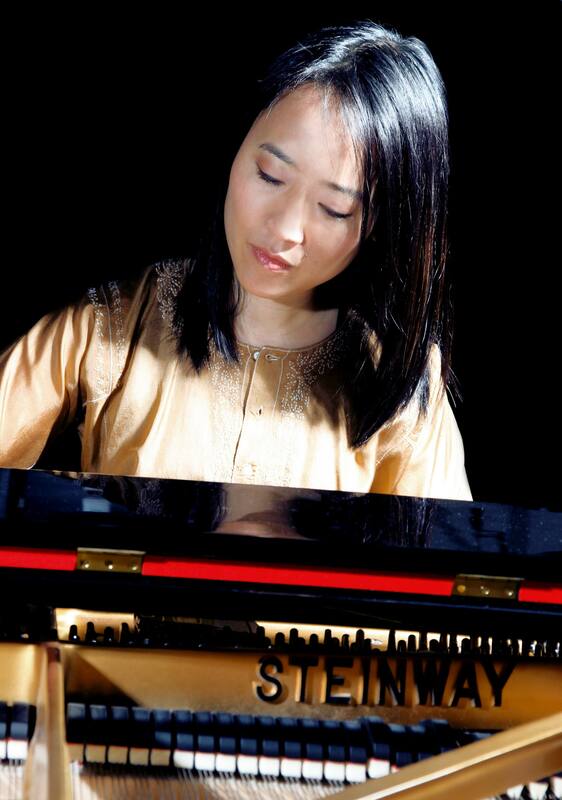 Continuing her classical studies at the University of Texas at Austin, a chance meeting with jazz music resulted in a course change: Sung went on to graduate from the Thelonious Monk Institute of Jazz Performance (at the New England Conservatory) and win the Kennedy Center's Mary Lou Williams Jazz Piano Competition. Now based in New York City, Sung has worked with such jazz luminaries as the late Clark Terry, Ron Carter, Wayne Shorter, Wynton Marsalis (who named her as one of his “Who’s Got Next: Jazz Musicians to Watch”), MacArthur Fellow Regina Carter, and ensembles including the Mingus Big Band, Lea Delaria’s House of David Project, and Terri Lyne Carrington's Mosaic Project. Sung followed her Concord Jazz release Anthem For A New Day with Sung With Words (2018), a collaboration with celebrated poet Dana Gioia made possible by a Chamber Music America/Doris Duke Foundation New Jazz Works grant. With appearances at festivals and venues including Newport, Monterey, Detroit, Los Angeles’ Disney Hall, SFJAZZ, and Carnegie Hall, Sung also performs on the international stage: her “NuGenerations” Project toured southern Africa as a U.S. State Department Jazz Ambassador, and recent engagements include debuts at the London Jazz Festival, Blue Note Beijing, Jazz at Lincoln Center Shanghai, the Sydney International Women’s Jazz Festival, as well as European tours promoting current projects such as Sung With Words. In addition to performing/touring and recording, Helen has completed composition commissions for the West Chester University Poetry Conference, North Coast Brewing Company, JazzReach, and a composition residency at Flushing Town Hall. Inspired by her experience at the Monk Institute, she stays involved in music education and also produced a Jazz Week program benefiting underserved youth in Camden, NJ (through a Chamber Music America residency grant). She has served on the jazz faculties at Berklee College of Music and the Juilliard School. In 2017, the University of Texas College of Fine Arts awarded Sung with its highest honor — the E. William Doty Distinguished Alumna Award, and HSPVA inducted her into its Jazz Hall of Fame. Learn more about Sung and her work at helensung.com. Helen Sung's residency is hosted by Michael Shadlen, MD, PhD, professor of neuroscience and principal investigator at Columbia's Zuckerman Institute, with support from Chris Washburne, PhD, associate professor of music at Columbia University. If you would like to meet with her during her residency, please contact Dr. Shadlen.